NEW! 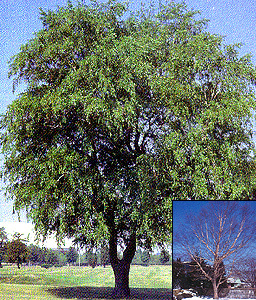 Betula nigra or river birch is a very handsome tree for estates, parks, golfcourses and any other large area. It displays a light reddish brown cinnamin bark that peels and flakes to give that beautiful look that the birch family is noted for. Plant as a specimen, or as a windbreak plant 20' apart in the row. It has moderate water requirements and a moderate tolerance to salt and alkali soils.